Every organization is faced with the challenges associated with growth and change. Rapid growth often leads to new employees, new processes and a need to update organizational structure. 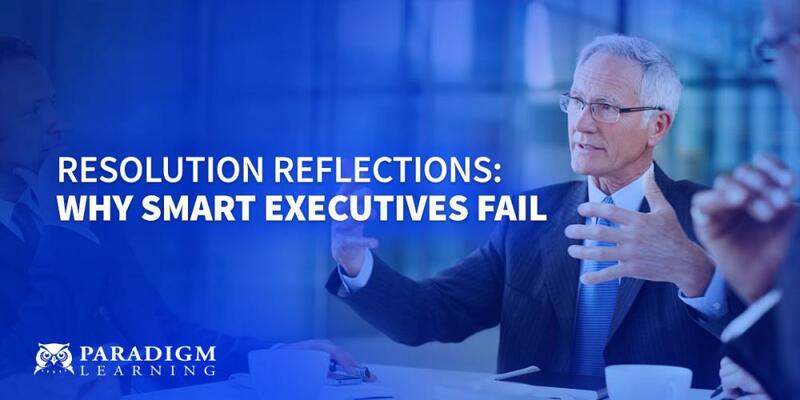 These changes can disrupt operations, cause confusion and even diminish the underlying culture, mission and values of an organization. Facing these challenges with a calculated strategy ensures they’re addressed before they become a potentially crippling issue. 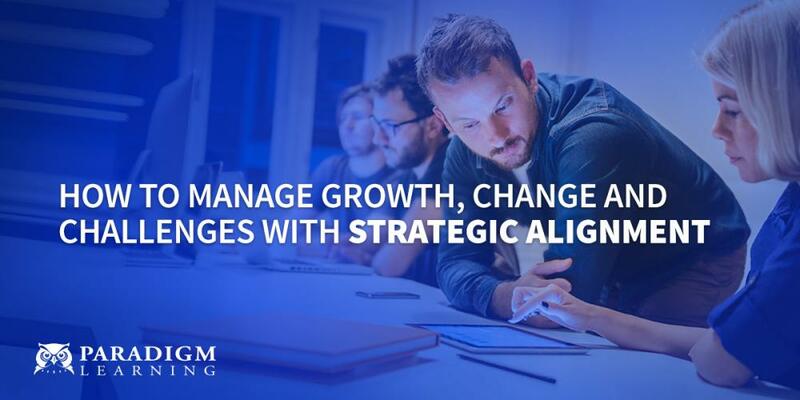 Although boiling down strategic alignment and execution to three points may seem reductive, these are the most important steps to any strategy. Before a strategy can be established, an organization needs to clearly define its structure and goals. Every organization has goals. In fact, they’re filled with all types of goals: short-term, long-term, departmental, individual, organizational. Aligning these goals with a concrete strategy or plan ensures that everyone is on the same page. Linking structure and available resources to individual responsibilities and S.M.A.R.T. goals minimize the effort and time spent on realigning a workforce. Accounting for these elements in the planning phase helps create a strategy that is understandable and executable. Once the plan in place, the challenge of delivering that information across the organization presents itself. Clarity is essential! Imagine giving someone an employee handbook that changes languages every page. Given enough time, and after a few dozen Google searches, they’ll be able to decipher at least some of the book. But it wasn’t suited for the audience and wasted a bunch of time. Additionally, how likely is that person to continue using that resource? If the people who are expected to act on a strategy don’t understand the language used within that strategy, it’s all for naught. The solution to this challenge is twofold. The people referencing this plan should be instructed on what it is and how it works, by the designers. They should also have a tangible representation of this plan to refer to. There’s a reason most scientists hang a periodic table on their wall. They know the elements, but a constant reminder and quick reference guide never hurts. Expecting a strategy to last the test of time, without modification, is unrealistic. Industries and organizations change, priorities and goals shift, and the availability of resources fluctuates. These factors compound the need to assess the efficacy of any strategy and update the model as needed. Thankfully, given the proper channels, opinions and suggestions are easy to come by. With a bottom-up approach to adjusting the strategy, organizations can leverage the invaluable feedback of every contributor. Taking the time to evaluate how the organization is interfacing with the strategy allows decision makers to modify the plan as needed. These three areas rely on each other to form a cohesive, effective and executable strategy. 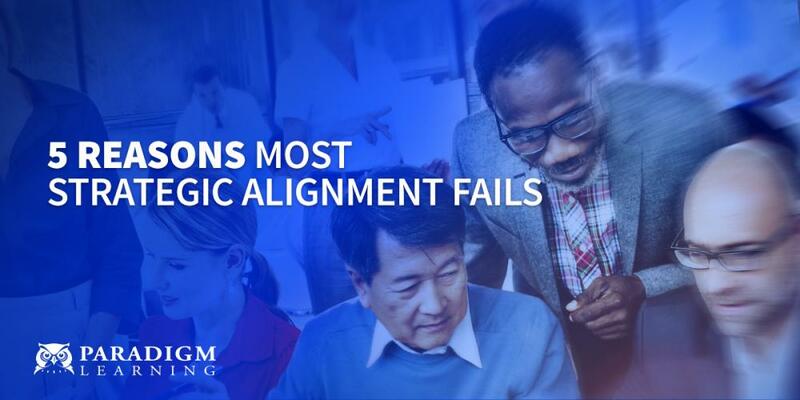 Delivering a cascading message across an organization is a must-have to achieve true strategic alignment. See how to get started with our eGuide, Planning Your Training Budget 2019.